One of the biggest mistakes I see in the gym for beginner and intermediate athletes is their lack of intent and planning on their warm ups or the weights they load. It’s very important to plan the first weights you choose to put on the bar and make smart jumps on the way up to your working load, starting at 50% may not be the best idea. At the same time working up to a heavy single, and starting the first 3 sets of your workout with the following reps 15, 12, 10 may not be an ideal way to prime your body for the task at hand or wake up your type 2 muscle fibers. A few key points before we go any further. This general outline is only covering your warm up progressions, not your pre-warm up movements, or mobility issues. I would highly suggest if you have issues or questions on this topic you take advantage of a free month of Kabuki.MS and start there. Click the link below and use code ‘onemonthfree’ to get your first month on us! 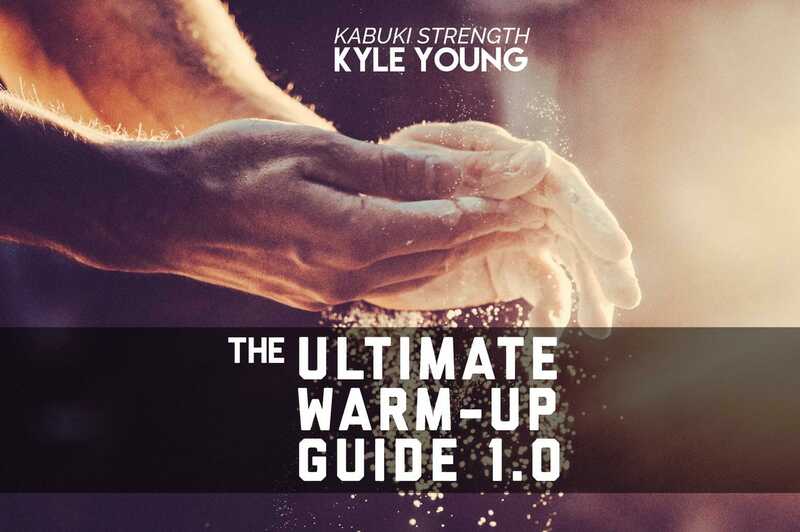 It should be noted that the warm ups and loading schemes outlined here are not the way I would have you warm up before a powerlifting meet, athletic event, or say attempting a strength feat; deadlifting 880 pounds every day like Chris Duffin. Your movement should already be as good as possible by competition day and all elite level athletes like Chris already have things dialed in, so they need to conserve energy for a massive lift, thus making different jumps than I am suggesting. The percentage of your 1RM or estimated 1RM that you are using. Your consistency and the specificity of your goal or current training block. Let’s now look at two real life examples below. If you don’t enjoy geeking out on numbers like me – feel free to just look at the cool charts and read the conclusion! The bench presser: This lifter with a current max of 305 pounds wants to attempt a 315-bench press, so they warm up with the following reps: 135 for 10 reps, 185 for 8, 225 for 5, 275 for 3 reps then attempts 315. The overhead presser: A brand new young lifter with a current max of 85 pounds needs to do working sets of 75-80. They warm up with the following reps: 45 for 5 reps, 65 for 3, 75 for 2, 80 for 1 rep.
Let’s stay with the second example and analyze what we are missing, but we will now introduce the 1,000-pound squatter for all of the big lifters out there and help put it into perspective. I picked these numbers randomly from the top of my head but have seen these scenarios play out so many times, in many different gyms over the years. The interesting thing is when I averaged the % of 1RM used, the weights selected were (49%, 69%, 81% and 92%) in 4 warmups. Now let’s introduced these same percentages to the 1,000-pound squatter and their weights for warm-ups look like :490, 690, 810, 920! I have witnessed warmups like this in meets and in the gym so, it is not unheard of for an athlete this strong and skilled to start with 490 pounds. However, I would not commonly suggest anyone starts with 49% and 69% of their max for the first two warm-ups. Let’s imagine we take two athletes who are identical twins and both squat 1000 pounds (because we all like big numbers). We keep them in a laboratory for one year to control all of the possible variables. Twin # 1 warms up as outlined above averaging :49%, 69%, 81% and 92% in 4 warm ups then works out as programmed. Twin # 2 warms-up as outlined below averaging: 19%, 36%, 49%, 63%, 68%, 77%, 86% and 95% in 8 warm ups then also works out as programmed. The difference in total weight moved on one squat workout – in warm ups alone our only variable – per week over the course of a year is an astonishing 536,702 pounds or 10,321 more pounds per week! Also, note before we go on this is an extra 216 warm-up sets per year or 4 per week to reinforce and improve skill development. Something not yet mentioned in this article. I propose this question to you at the end of this one-year training block, in our imaginary test tube who will be stronger, in shape and better skilled at the squat? I would also argue that at the end of this year the second lifter with more warm ups will also have fewer potential injuries. In conclusion, let’s take 3 smart lifters whose names we will change to protect their identity from the social media world…. I know a world class master lifter “John” who will still out bench most of us and he starts every session with the bar and is very intent on executing perfect reps on the way up to working loads after he starts with the bar. The “wizard” who can gauge your warmup ranges off looking at a training log and tell you how big of jumps to take, more jumps than you think. Last but not least “Zilla” who can look at you max lift and tell you backwards how much weight you should go up in pounds or kilos in his head, again smaller jumps than you think. My only point to this is if you don’t believe me try it and see if you don’t become a better lifter while getting stronger than the person in the squat rack next to you. Let’s quickly take this full circle back to the young athlete working the overhead press. Yes, he can start with the bar or 50% and it will not hurt him and he can make quick jumps… I argue that if he doubles his warm ups, starting lighter and making smaller jumps all while lifting with 100% intent on the task at hand, he will get stronger and potentially have better technique. Once again beware of the percentage of your 1RM you are starting at. We can’t all squat 1,000 pounds but 50% of our max is still 50% of our max. Almost every lifter can get better technically, so if you double the times you touch a bar and do every rep with 100% intent on the task at hand you will outperform a lot of lifters! Included is this awesome excel download so you can avoid your phone and calculator during your training session! Click below and download it NOW! Don't worry, we won't spam you or give anyone your email address. I suggest breaking your warm ups in to approximately 8 sets. As a basic rule if you are going to do 5 reps for your working sets do 5’s all the way up, if you have working sets of 12 in a hypertrophy block you should most likely do 12’s all the way up. Think about the task you have in front of you and use 100% of your available resources to execute said task. I hope this article makes you rethink your training process and you are ready to take the next step to being a stronger and more efficient lifter. You can work on it yourself, or you can put yourself in the hands of the professionals to oversee the process and signup for our world class virtual coaching. 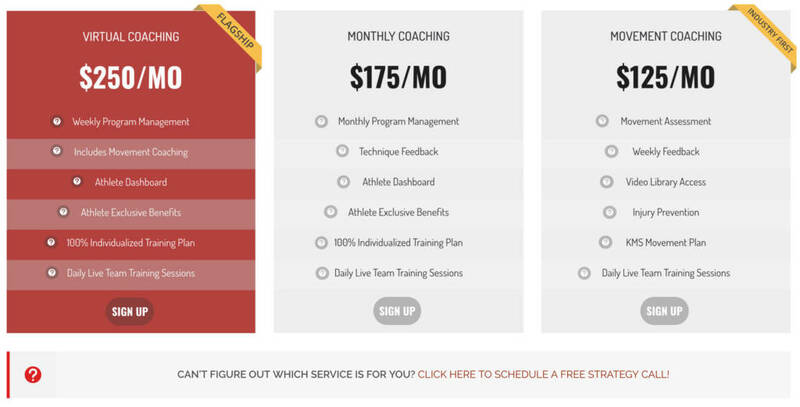 The easiest way to get started is with a simple conversation…click the link below and schedule a completely free strategy call with one of our coaches. Either way I hope that this has been informative – and be sure to show us your progress on our Insta-Twittter or that thing all the kids do these days….